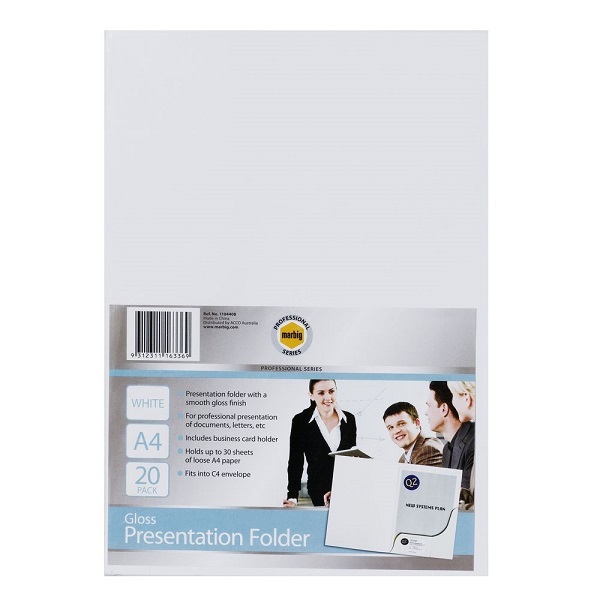 Marbig Professional Series Plain White Gloss Presentation Folders in an economical bulk pack of 50. Manufactured from Quality 230 gsm White Gloss Board. Features an inside pocket for holding A4 size documents and a place to mount your business card inside flap. 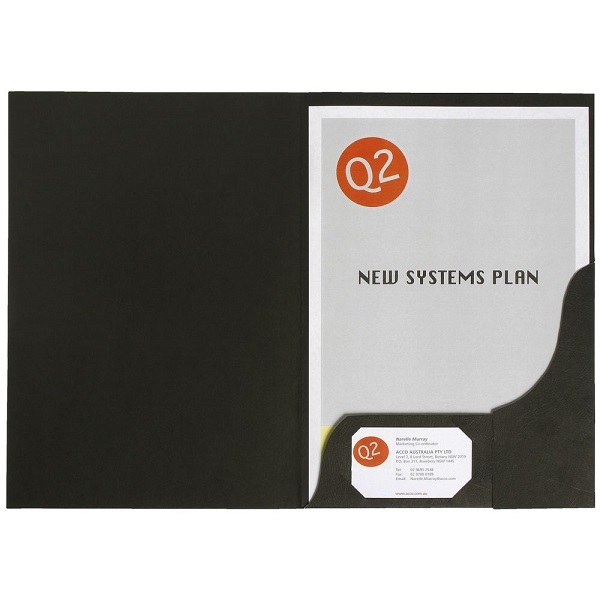 Convenient A4 size fits neatly into a C4 envelope. 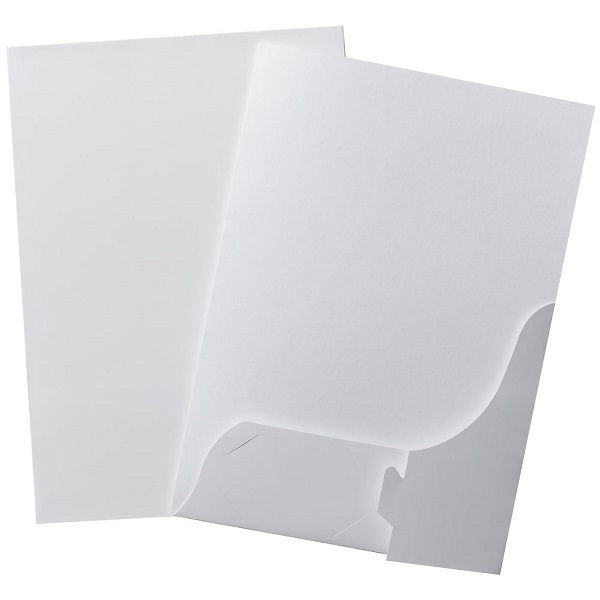 Marbig Professional Series Plain White Gloss Presentation Folders in a handy pack of 20. 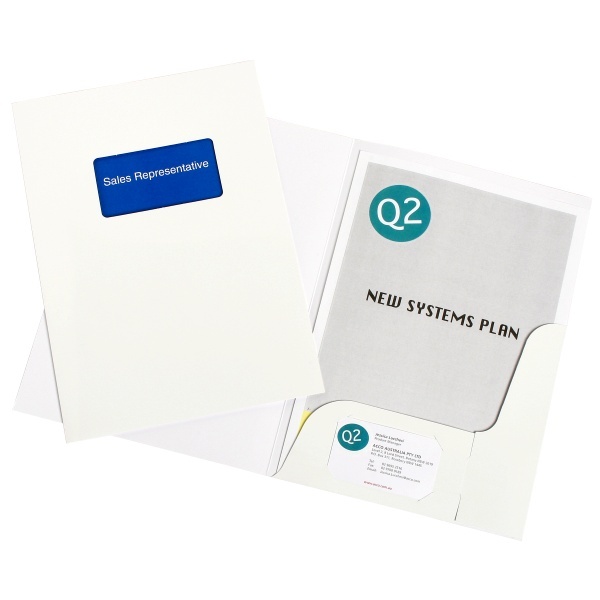 Marbig Professional Series Plain White Gloss Presentation Folders with Window. 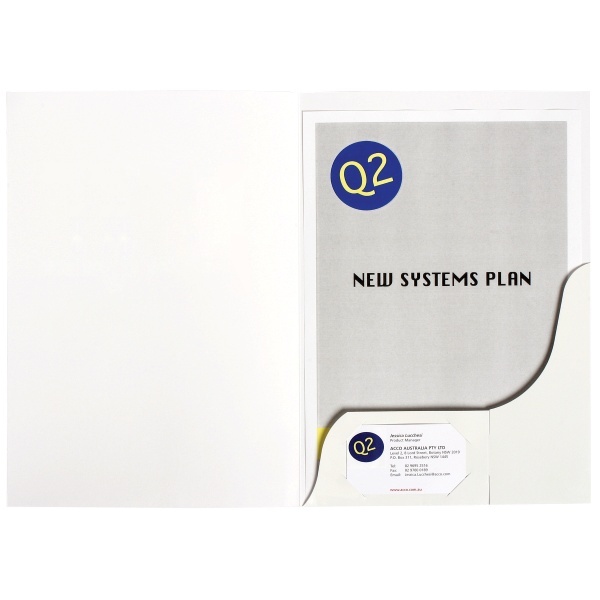 Manufactured from Quality 230 gsm White Gloss Board with a viewing window on the front of the folder. 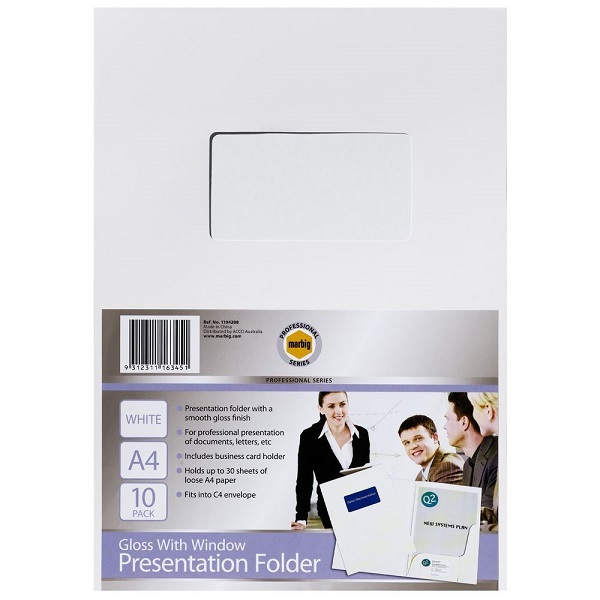 Pack of 10 White Gloss Presentation Folders with Window. Marbig Professional Series Black Leathergrain Presentation Folders. Manufactured from Quality 270 gsm Black Leathergrain Board.